The exhibition “FEMINES Donne del latte. Gesti e luoghi, tra presente e memoria” (Dairy-farming Women. Gestures and places, between present and memory”) by Ulderica Da Pozzo is a tribute by the Municipality of San Vito al Tagliamento and CRAF to women on International Women’s Day on 8 March. The exhibition will be inaugurated on 7 March at the Church of San Lorenzo and will remain free to the public until 5 May. 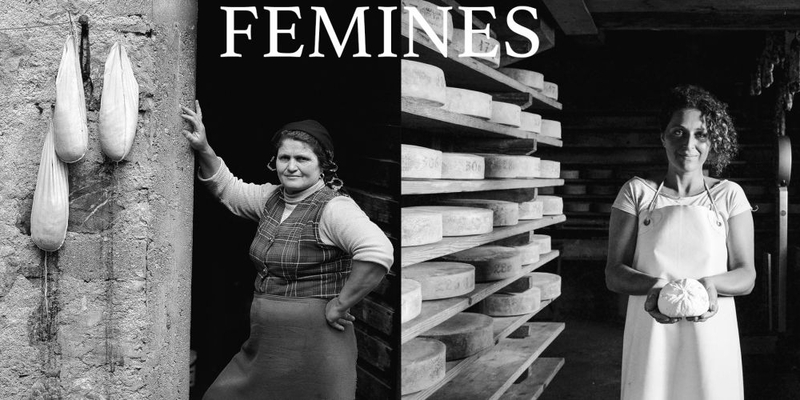 "It is entirely dedicated to the dairy-farming women and is within my photographic research on the rural and farming world of the region - says the author - a journey that began with my memories as a child and with years of meetings, interviews, photographs that have become a book, “Malghe and Malgari” (Alpine farmers and farmsteads) and a DVD Il mondo dall'alto (The world from above) ”. The exhibition stems from the original project "Biancolatte"(milk-white) and preserves the evocative power of the sound and the perfume of milk, of women and ancient gestures that are inevitably part it: " I started as early as the Eighties, telling the story of the female universe, her relationship with the land, with milk and the rural farming world that revolves around it – she says- women were and still are significant guardians of this world, and it is precisely through their eyes that my story unfolds ”. The exhibition contains multiple references to dairies and Malghe, particularly those still working and open to visitors. But it also tells of traces left, what remains of the Dairies, through the villages and places that were the heart of an intense social and community life: "This is a photographic and multimedia exhibition that visually illustrates the memory and the present of dairy farming - she continues - knowledge handed down as art, from the hands of the cheesemakers to their daughters, and it is thanks to them that it is still possible to find fresh butter, ricotta and quality cheese in many places in our mountains ". On exhibition there are also many portraits testifying current courageous life choices of the women engaged in agriculture and breeding: "The exhibition stimulates pathways of knowledge of the land – she emphasizes - of the places and of the women who still value and foster this territory".